Under this investment strategy, a retail investor blindly follows the investment pattern of a " Star Investor", a celebrity investor of sorts who has made his/her name in the markets by generating exceptional returns in their investment portfolios. Discovering the next multi-bagger or finding out undervalued stocks with excellent prospects is not an easy task. It involves a lot of hard work, data analysis skills and above all access to information. Most retail investors lack the skill for such analysis, do not have the time to research and are out of the purview of privileged information. This handicap can however be mitigated through a widely applied investment strategy known as copycat investment, coat tailing or side car investing. Under this investment strategy, a retail investor blindly follows the investment pattern of a " Star Investor", a celebrity investor of sorts who has made his/her name in the markets by generating exceptional returns in their investment portfolios. Whether a retail investor actually profits from this strategy is up for debate, however there are both pros and cons to this method. Difference in Portfolio Size, Allocation Strategy and Risk Tolerance: The known veteran investors have huge amounts invested in a diversified portfolio, which the retail investor is not even remotely aware of. Star investors have much more information that may not be available in public domain they often know when to enter and exit from a stock. But, retail investors are not so fleet-footed, therefore their exposure to risk is higher then the star investor. As an example, if a celebrity investor investing Rs 50 crore in a single stock, and following him if a retail investors get excited and end up investing Rs 5 lakh that may be 50 percent of his portfolio in the same company while it is highly possible the celebrity investor's portfolio allocation could be just a percent. Now if the stock price falls, it would not matter much for the celebrity investor even if he ends up losing a percent of his portfolio. However, retail investors will certainly end up losing more relatively if the pick goes wrong. For an expert it is easy to handle if he incurs a loss or two, but a follower may not have the same luxury. Difference in Investment Horizon and Objective: The reasons for buying and selling a stock for the star investor might be unknown and may land the follower into serious trouble financially. They often tend to use multiple strategies to enter and exit a stock that retail investor is unaware of. The objectives of the expert and his follower may be very divergent. Both may be deploying different time frames which itself is a factor enough to ruin the investments of the follower. The expert might be planning to hold on to a stock for long term, but the follower might not have enough liquidity or the holding strength. They hold stocks for varying periods, from a few days to many years whereas the retail investors invariably does not either exit so fast or stays invested for longer durations. Late Entry and Exit: Retail investors may not even be aware of the price at which the celebrity investor has first started buying into the position. His/her name would be disclosed only if it is a block deal or if his/her holding is more than one per cent. The biggest risk of following celebrity investors is that stocks tend to be at elevated levels at the time of the announcement therefore retail investors enter the stock at higher price points which results in lowering of their profit prospects. Since companies report shareholding pattern on a quarterly basis, there could be a scenario where a celebrity investor pulls the plug and retail investors get to know about it only after three months. The celebrity investor might be selling off his position in bits and pieces, which retail investors were not aware and lose money after all by selling at a much lower price. Many retail investors have burned their fingers recently because they followed the so-called 'investment gurus' of the market. The stocks they have invested in have been promoted on television and various social media platforms to create a buzz and once enough retail investors get in, the price crashes and the retail investors are left in the lurch. There are many examples of instances where retail investors have gotten themselves stuck and have incurred huge losses in following legendary investors. One such example is the case of the stock Jaiprakash Associates, on March, 3 Crore shares of Jaiprakash Associates were purchased by ace investor Rakesh Jhunjhunwala at Rs 18.35 levels. As the news of the purchase spread the stock price rose 14 percent due to demand from retail investors. However, since then the stock has corrected significantly and is currently trading at Rs 13.25. Another example is of marquee investor, Chennai-based Dolly Khanna who is well respected for being able to spot gems in the smallcap space. Khanna had invested in Rain Industries at Rs 50 and again raised her stake in March 2018 when the price was around Rs 350 per share. Several investors followed her investing pattern. Now the stock is down to Rs 218 per share. In this scenario, Khanna may still be in profit considering her initial entry price but investors following her would have registered heavy losses. These examples are just provided to highlight the information asymmetry that a retail investor is working against when he/she tries to copy a star investor. Generally in the Indian context, the announcements of big purchases made by ace investors are used by traders who were privy to privileged information as an exit point, its more of a sell on the news phenomenon where the retail investors are left holding the bag. In-spite of these obvious pitfalls there are significant number of astute investors who have made profitable trades following Star investors. What sets apart this type of investors is some discretion that they use before following a star investor, these investors take the announcement of a fresh position by an ace investor as a starting point for further research. They often tend to wait a couple of days and sometimes weeks before buying a stock, they only buy a stock if they are comfortable with the price point and their individual risk reward tolerance. 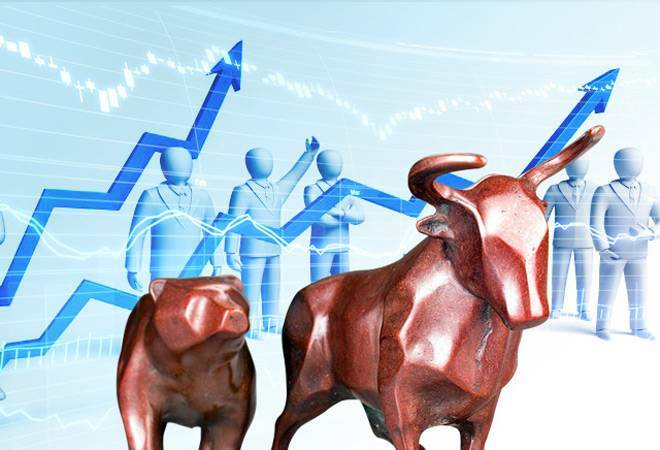 There are some benefits with the copy cat style of investment as it saves time spent in screening of the stocks, like any other trading or investment strategy it has to be followed with patience, discipline, and some discretion and not in just falling into the trap of herd mentality.